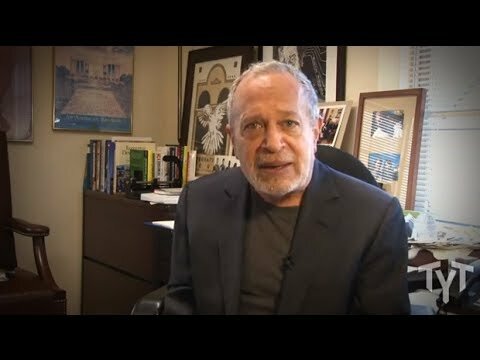 Reich on Obama Walmart Photo-Op: "What numbskull arranged this?" A low-wage Walmart employee in California has a simple message for President Obama on behalf of the millions of workers who find themselves in situations just like hers: "Help us." President Obama's … speaking engagement at a Walmart superstore in California on Friday has attracted widespread criticism for those who think the choice of venue sends all the wrong messages at just the wrong time when it comes to the struggles of low-wage workers and the increasing alarm over economic inequality. Expressing his contempt for the move, economist and former labor secretary Robert Reich called the decision an "ill-advised photo opportunity" as he rejected the idea that the retail giant should be used as an example of what's right with the nation's green energy inititiatives, the purported reason for the presidential visit. "What numbskull in the White House arranged this?" Reich asked rhetorically in a post on his Facebook page. "Walmart may be one of the retail industry's leaders in the use of renewable energy in its stores, but its greenhouse emissions grew 2 percent last year to nearly half a million metric tons, and it lags badly behind other large companies on renewable power, with only 3 percent of electricity from these sources." What's worse, Reich continued, is that Walmart continues to be a symbol of much that is wrong with the nation's overall economic landscape, paying poverty-level wages and setting the industry standard for busting union labor efforts and workplace organizing. "Walmart is one of the nation’s largest and worst employers – low wages, unreliable hours, few benefits, discrimination against women, and anti-union," Reich continued. "The NLRB is investigating charges it discriminates against workers who speak out. And most of the rest of us are subsidizing Walmart by paying for the food stamps and Medicaid its workers need because Walmart doesn't pay them enough to keep them out of poverty." On Thursday, a Salon.com post by a Walmart employee at the Mountain View store where Obama will speak went viral as Pam Ramos described her living "nightmare" that includes eating potato chips for lunch and sleeping on her child's bedroom floor because of the poverty wages she receives. Learning the store would be closed most of the day and her shift cut, Ramos realized she likely wouldn't get the chance to speak to the president. Regretfully, she wrote: "I wouldn’t be able to tell the president what it’s like to work at Wal-Mart and what it’s like to struggle on low wages, without the hours I need. I am living at the center of the income inequality that he speaks about so often, and I wanted to talk to him about how to change this problem." “I don’t wish the struggle I’m facing onto anyone. But sadly, my situation isn’t unique. I know that I am one of many living in the Wal-Mart economy who has no financial stability. We expect to work until our deaths because we don’t have any retirement savings and are concerned about the future in front of our children and grandchildren . . .